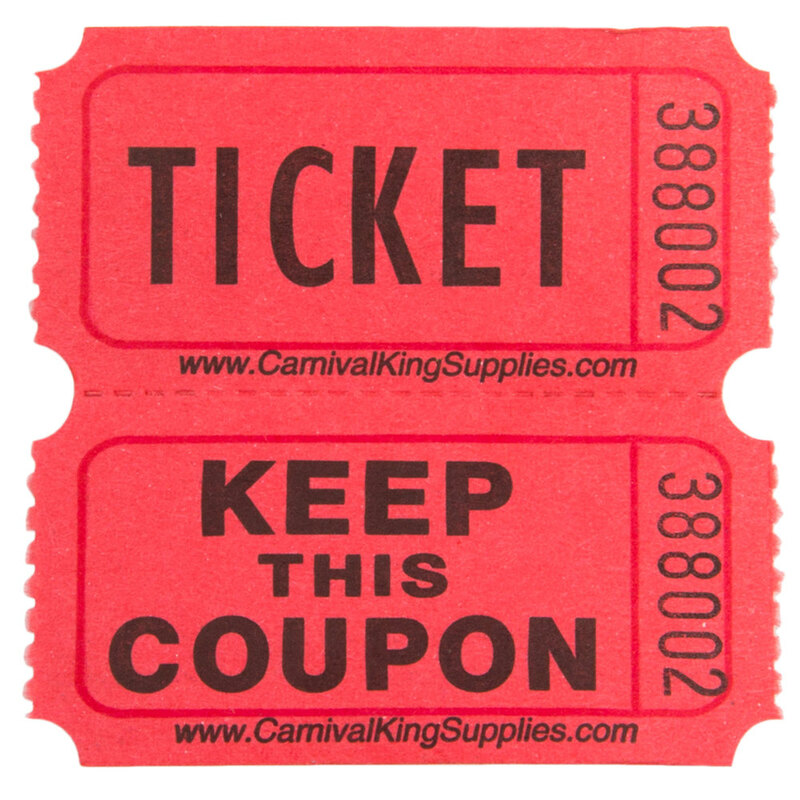 Whether they're getting ready to win or ready to enter your big event, your guests will love the thrill of entering with this Carnival King red 2-part raffle ticket. With a standard 2-part design, these tickets allow your guests to keep one part (the coupon) while the ticket part remains with you. The ticket number is conveniently printed on both parts so that each party maintains knowledge and proof of the ticket number and possession. Prompts on the back of each ticket direct your patrons as to what information they should provide when entering your raffle or event. "Name", "Address", and "Phone No" fields are all at the ready for your guests to fill in their information. Thanks to its bold black print, this ticket is easy to read by most persons. Your customers will easily discern between the "ticket" and the "coupon", prior to placing the ticket in the raffle, and reading the winning numbers will be anything but a struggle thanks to the distinguishable black font. With a bright red hue, this ticket makes an eye-catching addition to anything from casual raffle fundraisers to upscale corporate events. It's easy to see in dim-lit venues and won't get lost in the shuffle of one's belongings. Additionally, it's perfect for color-coding raffles or for matching your event's color scheme.